Cornerstone Ministries is an organisation that can attain its mission by means of gifts. It is a non-profit organisation. All gifts are used to achieve Cornerstone’s work and vision! By supporting us financially, you make it possible to reach thousands of people with the message of reconciliation. Invest in the work that God called us for. Believe that God can use your gift to reach people with the most important message that a human being can receive. 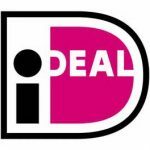 Use iDeal, YourGift or a bank transfer via Pay.nl. Use your own PayPal account or a credit card via PayPal. Use the Cornerstone Financial projects guide to learn more about our projects. If you want to dedicate your gift to a specific project, you can indicate this while donating.